This is Halloween, this is Halloween … okay, I know it’s only the beginning of September but according to Starbucks and Pinterest, it’s Halloween. And if you go by the craft store calendar, Halloween started in June. So I figured it’s not to early for my latest Poster Palette, based on Tim Burton’s Nightmare Before Christmas! 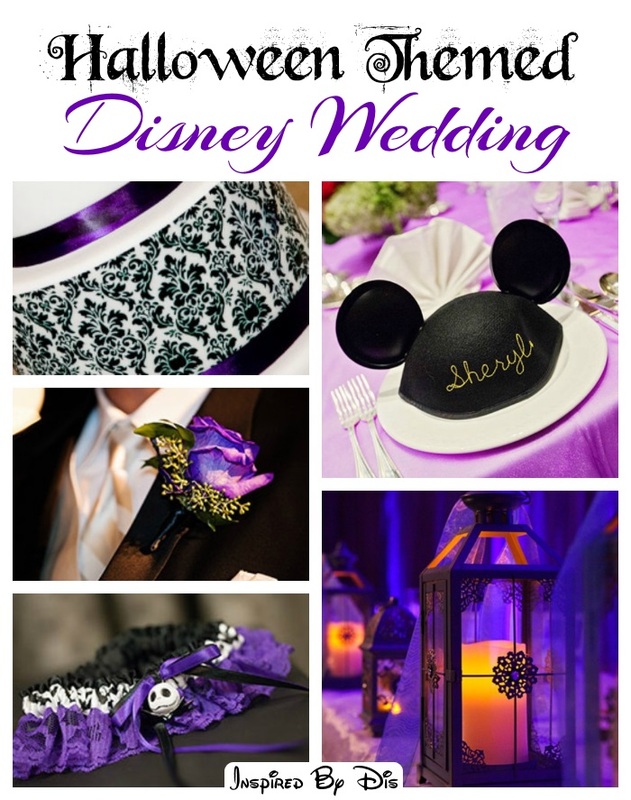 I have seen a few NBC themed Disney weddings and they have all been moody and dramatic and fabulous. I was excited to make this board and bring these non-traditional colors together. 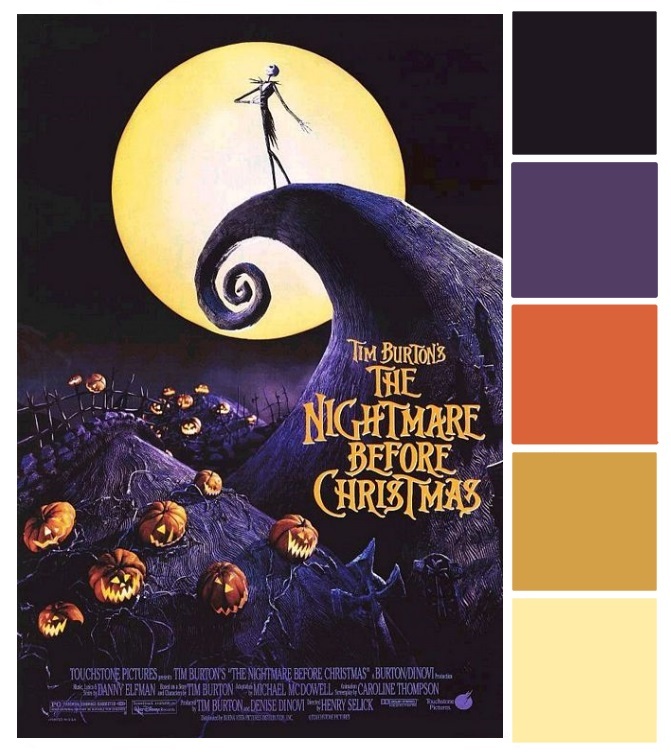 Of course when you think Nightmare Before Christmas you always think black, purple, and orange! But the lighter shades of yellow adds a coolness to the dramatic darker shades. Putting together this board was so much fun! At first I thought I would have a tough time finding images to match these colors but in the end I had a tough time narrowing down my pictures to fit into the collage! 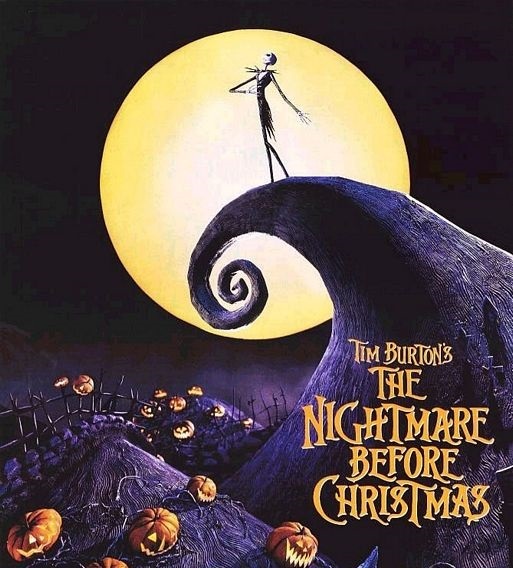 I might have to make a much bigger Nightmare Before Christmas inspiration board in the future. A special mention for the cute garter! Who knew Jack Skellington was so cheeky? I hope you enjoy this special holiday Poster Palette and Inspiration Board!